Estádio D. Afonso Henriques, then still called Estádio Municipal de Guimarães, opened in 1965. The stadium underwent a first major redevelopment in 1991 in preparation of the sub-21 World Cup. Twelve years later, it got further expanded and renovated for the Euro 2004 Championships. The redeveloped Estádio D. Afonso Henriques reopened on 25 July 2003 with a friendly match between Vitória and Kaiserslautern. During the Euro 2004 tournament, the stadium hosted two group matches. 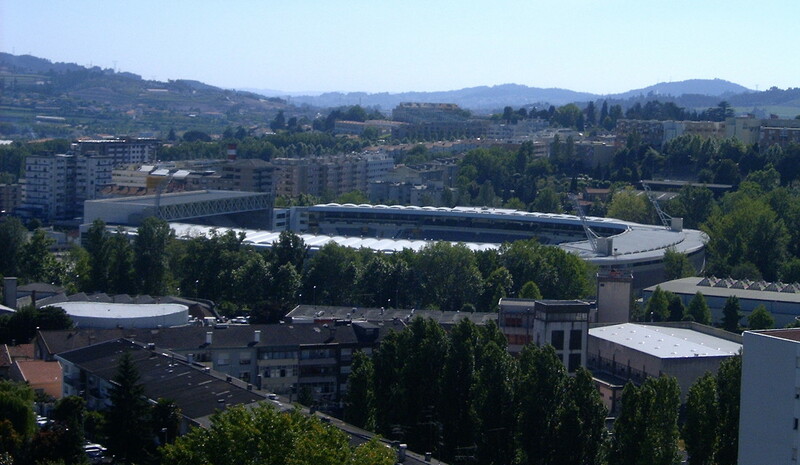 Estadio D. Afonso Henriques is located in central Guimarães, just north-east of Guimarães’ historic city centre. The stadium lies at walking distance from practically any point in the small city of Guimaraes. It takes only a few minutes to get there from the historic city centre, about 10 minutes from Guimaraes Castle, and about 15 minutes from Guimaraes’ train station, which lies south of the centre. There is a direct train service between the city and Porto. 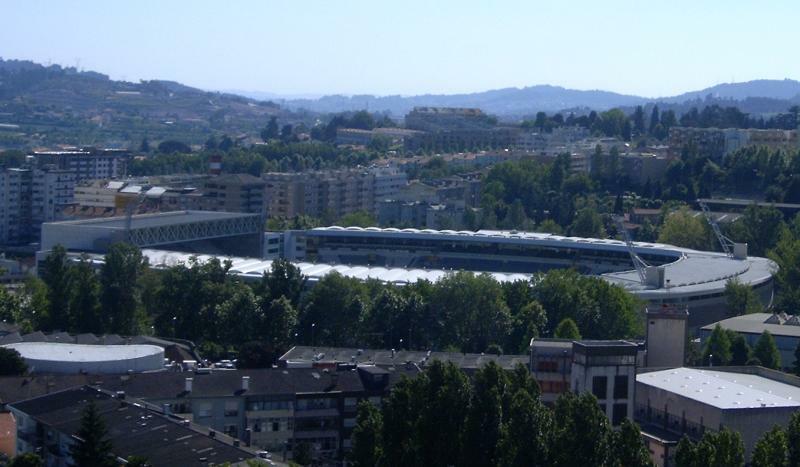 Estadio D. Afonso Henriques is located conveniently on the edge of Guimarães city centre, which means that there are plenty of bars and restaurants at short walking distance of the stadium. The same is true for hotels. Click here for an overview of hotels near Estadio Afonso Henriques, which include an Ibis, the well-rated Hotel Toural, and various hostels. Tickets for Vitória matches can be bought at the club shop at the stadium, or at the club shop at Espaço Guimarães shopping centre in the north-west of Guimarães. Tickets can also be bought on the gate on the day of the match. Vitória have decent attendances, among the highest after Portugal’s big three, but rarely sell out. Ticket prices depend on the opponent. Expect to pay between €10.00 and €20.00, but prices can be raised for high-profile matches to between €25.00 and €75.00. Vitória organise guided stadium tours that include access to the VIP areas, press room, presidential box, and players tunnel. The tour costs €5.00. For further information and bookings email visitas@vitoriasc.pt or call +351 253 520 930. Vitoriasc.pt – Official website of Vitória SC. Guimaraesturismo.com – Tourism website of the city of Guimarães.